Skin Cancer (Nonmelanoma) is treated within GWCC’s Melanoma and Cutaneous Oncology Program. Nonmelanoma skin cancer refers to all the types of cancer that occur in the skin that are not melanoma. Several types of skin cancer fall within the broader category of nonmelanoma skin cancer, with the most common types being basal cell carcinoma and squamous cell carcinoma. The GW Cancer Center’s Melanoma and Cutaneous Oncology Program takes a multidisciplinary approach to the treatment of melanoma. Our team includes specialists in dermatology, plastic surgery, medical oncology, genetic counseling, and dermapathology. We also offer specialty care like a weekly melanoma and pigmented lesion clinic and a supportive oncodermatology clinic for patients with dermatologic needs resulting from cancer and cancer treatments. Patients suffering from dermatologic side effects related to cancer and cancer treatments can also receive care from our Supportive Oncodermatology Clinic, the only one of its kind in the Washington, D.C. area. We also offer specialty care through the Cutaneous T-Cell Lymphoma Clinic, where patients can conveniently receive expert care from both skin doctors and blood cancer doctors in one visit. The Melanoma and Cutaneous Oncology Program provides complete care for each patient. A team of physicians and supportive care staff from different specialities come together to discuss each new case. They create a treatment plan that will best serve the patient. We also offer the services of a patient navigator who can help with care coordination, communication, and many other patient needs or barriers to care. The GW Cancer Center offers screening and treatment for all forms of melanoma and nonmelanoma skin cancer, including cutaneous T-cell lymphoma or Mekel cell cancer, carcinoma (Basal cell carcinoma, squamous cell carcinoma), and other epidermal malignancies. We provide biopsies and on-site processing of results, as well as diagnostic imaging services like lymphoscintigraphy (sentinel lymph node mapping). Patients at GW have access to all the latest treatments including radation therapy; systemic therapies like immunotherapy and targeted therapies; surgical removal of tumors; and minimally invasive groin dissection for metastatic melanomas. The Supportive Oncodermatology Clinic supports patients during and after their cancer treatment to prevent and reduce common side effects, such as hair loss, severe skin rashes, skin infections, brittle nails, and dry skin, of treatment. It is the only one of its kind in the Washington, D.C. region, and one of only a handful of such clinics in the country. Patients with cutaneous T-cell lymphoma may need expert care from both skin doctors and blood cancer doctors. Through our specialty clinic, patients can conveniently see both specialists in one visit. Patients at the Cutaneous Lymphoma Clinic will receive a thorough evaluation, which may include a skin biopsy. 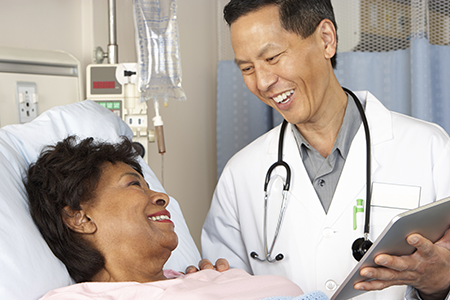 Our specialists work together to determine the right treatment approach for each patient. Patients with advanced disease may have their case presented at a tumor board where several specialists discuss the patient's case and come up with the best treatment plan. The GW Cancer Center hosts a weekly melanoma and pigmented lesion clinic to provide ongoing surveillance for patients with a personal history of melanoma. In addition, we also see patients at elevated risk of melanoma, including those with a personal history of dysplastic nevi (atypical moles) or a family history of melanoma.